This entry was posted in Iraq, Islamic Militancy, Saddam and Islamism and tagged 1991 Iraqi uprisings, Ba'ath Party, faith campaign, Fedayeen Saddam, Gulf War, Hayat Shararah, If the Days Darken Kamel Sachet Aziz al-Janabi, Iran, Iraq, Iraq sanctions, ISIS, Islamic State, Izzat al-Douri, Izzat Ibrahim ad-Douri, Kamel Sachet, Mohamed Shararah, Saddam Hussein, Salafism, Salafists, sectarianism, Shaaban Intifada on October 18, 2015 by KyleWOrton. 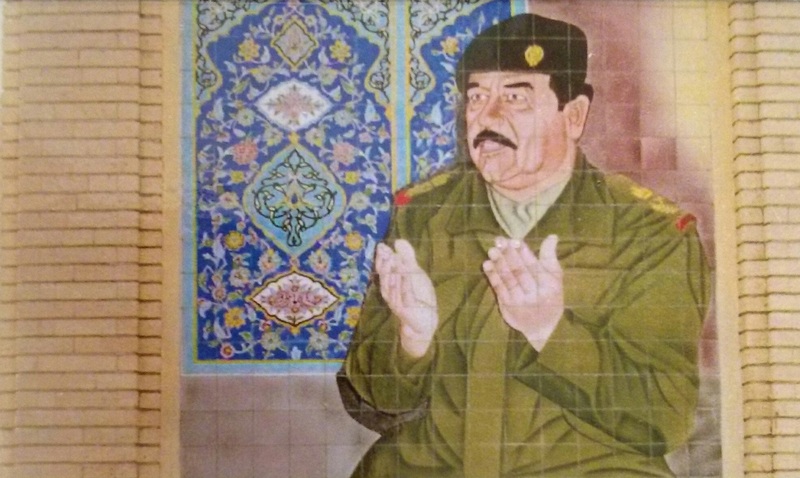 Did Saddam Hussein Become A Religious Believer? It should be stated up front that the question posed in the headline is, strictly speaking, unanswerable: only Saddam Hussein could ever answer that question, and even then any out-loud answer given by Saddam could be untrue in any number of directions, for any number of reasons. 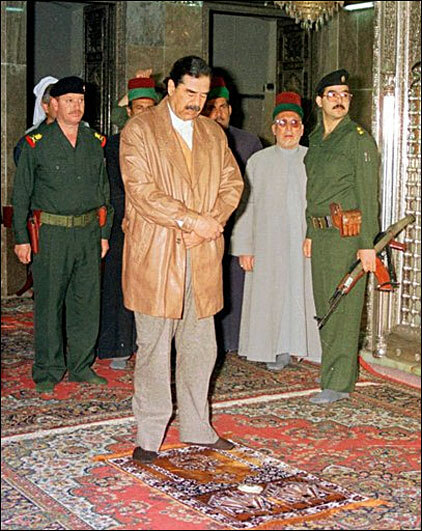 Still, from the available evidence it does seem Saddam had some kind of “born-again” experience. This entry was posted in Iraq, Islamic Militancy, Saddam and Islamism and tagged 1991 Iraqi Uprising, Abul Qasim al-Khoei, al-Qaeda, Ali Hassan al-Majid, Ba'ath Party, Baathism, Barzan al-Ibrahim, Barzan Ibrahim al-Tikriti, conspiracy theories, faith campaign, Fedayeen Saddam, Gulf War, Hassan al-Turabi, Hussein Kamel, Iran, Iraq, Iraq War, ISIS, Islamic State, Islamism, Islamists, Izzat al-Douri, Izzat Ibrahim ad-Douri, Kamel Sachet, Mohammad Kazem Shariatmadari, Muslim Brotherhood, Omar al-Bashir, Osama bin Laden, Qur'an, Ruhollah Khomeini, Saddam Hussein, Salafi Trend, Salafism, secularism, Shaaban Intifada, Taliban, Wahhabism on September 12, 2015 by KyleWOrton. This entry was posted in Iraq, Islamic Militancy, Saddam and Islamism, Syria and tagged 1991 Iraqi Uprising, Abu Mariyah al-Qahtani, Abu Musab al-Zarqawi, Abu Musab az-Zarqawi, Afghanistan, al-Jaysh al-Quds, al-Qaeda, Ansar al-Islam, Ba'ath Party, Ba'ath Party militia, Badr Corp, Bashar al-Assad, Blessed July, faith campaign, Fedayeen Saddam, Fida'yeen Saddam, Fida'yin Saddam, Iran, Iraq, ISIS, Islamic State, Izzat al-Douri, Izzat Ibrahim ad-Douri, Jabhat al-Nusra, Jabhat an-Nusra, Jaysh Rijal al-Ṭariqa al-Naqshabandiyah, Jaysh Rijal at-Ṭariqa an-Naqshabandiya, JRTN, KGB, Maysar Ali Musa al-Jabouri, Mohammed Younis al-Ahmed, Saddam, Saddam Hussein, Saddam regime, Salafi-jihadists, Salafism, sharia, Syria, Taliban, terrorism, Uday Hussein, Umar Brigade on August 31, 2015 by KyleWOrton. Fadel Ahmad Abdullah al-Hiyali, the overall deputy to the “caliph” Abu Bakr al-Baghdadi, who heads the Military Council of the Islamic State (ISIS) and is the direct commander of ISIS’s forces in Iraq, was killed in a drone strike in Mosul on August 18, according to a U.S. spokesman for the National Security Council yesterday. 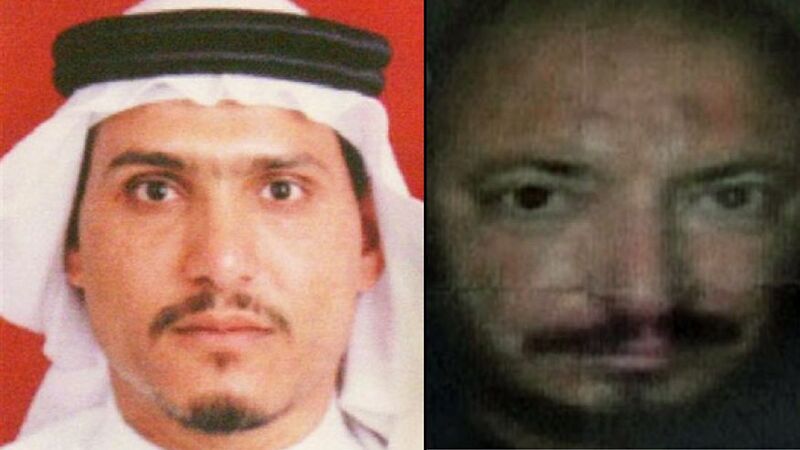 Al-Hiyali, who also goes by the pseudonyms Abu Muslim al-Turkmani, Abu Mutaz al-Qurayshi, and Haji Mutaz, was reported to have been travelling in a car with a media operative named Abu Abdullah when he was killed. 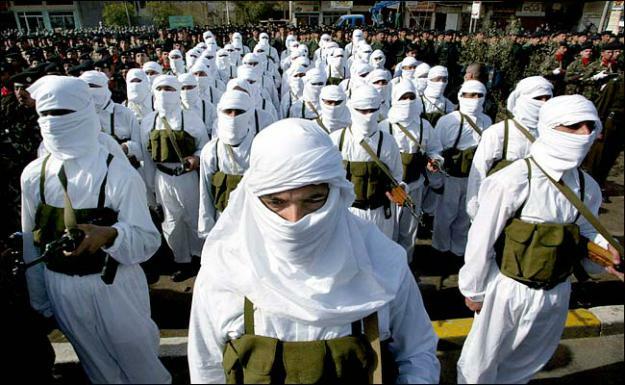 This entry was posted in Iraq, Islamic Militancy, Jihadi Biographies, Saddam and Islamism, Syria and tagged Abu Abdulrahman al-Bilawi, Abu al-Mutazz al-Quraishi, Abu Ali al-Anbari, Abu Ayman al-Iraqi, Abu Muhannad al-Suwaydawi, Abu Muslim al-Turkmani, Abu Mutaz al-Qurashi, Abu Mutaz al-Qurayshi, Abu Sayyaf, Adnan Hamid al-Suwaydawi, Adnan Ismail Najem al-Bilawi, al-Qaeda, Ansar al-Islam, Fadel Ahmad Abdullah al-Hiyali, Fadel al-Hiyali, Fathi al-Tunisi, Fathi at-Tunisi, Fathi ben Awn ben Jildi Murad al-Tunisi, Haji Bakr, Haji Mutaz, Haji Mutazz, ISIS, Islamic State, Izzat al-Douri, Izzat Ibrahim ad-Douri, Izzat Ibrahim al-Douri, Kayla Mueller, Saddam Hussein, Samir Abd Muhammad al-Khlifawi, Samir al-Khlifawi on August 22, 2015 by KyleWOrton. This entry was posted in Iraq, Islamic Militancy, Saddam and Islamism, Syria and tagged Abu Ayyub al-Masri, Abu Bakr al-Baghdadi, Abu Hamza al-Muhajir, Abu Khalaf, Abu Omar al-Baghdadi, al-Qaeda, al-Qaeda in Iraq, al-Qaeda in Mesopotamia, Ba'athists, Baathism, Egyptian Islamic Jihad, faith campaign, Haji Bakr, Iran, Iraq, ISIS, Islamic State, Islamic State of Iraq, Izzat al-Douri, Izzat Ibrahim ad-Douri, Jabhat al-Nusra, Jabhat an-Nusra, KGB, Manaf Abd al-Rahim al-Rawi, Mujahideen Shura Council, Osama bin Laden, Russia, Saddam Hussein, Samir al-Khlifawi, Shiite militias, Syria on August 10, 2015 by KyleWOrton. Samir Abd Muhammad al-Khlifawi (Haji Bakr), a former colonel in Saddam’s intelligence , who became ISIS’ director of strategic planning. After long neglect, the media has finally recognized the role of the FREs—former (Saddam) regime elements—within the Islamic State (ISIS). 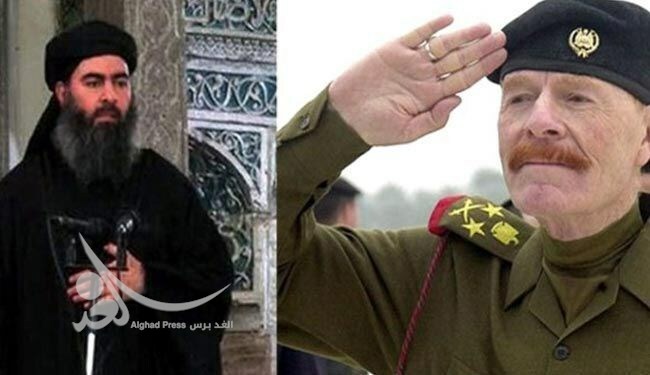 But the pendulum has now swung too far: Some reports are now claiming that the FREs have transformed the leader of the terror army, Abu Bakr al-Baghdadi, into nothing more than a front man for the Baathists. This entry was posted in Iraq, Islamic Militancy, Saddam and Islamism, Syria and tagged Abu Abdulrahman al-Bilawi, Abu Ali al-Anbari, Abu Bakr al-Baghdadi, Abu Musab al-Zarqawi, Abu Musab az-Zarqawi, Adnan Ismail Najem al-Bilawi, al-Qaeda, Ansar al-Islam, Haji Bakr, Iraq, ISIS, Islamic State, Izzat al-Douri, Izzat Ibrahim ad-Douri, Joel Rayburn, KGB, Muslim Brotherhood, Saddam Hussein, Salafism, Samir Abd Muhammad al-Khlifawi, Syria, The Faith Campaign on July 20, 2015 by KyleWOrton. This entry was posted in Iraq, Islamic Militancy, Saddam and Islamism, Syria and tagged Abd al-Sattar al-Rishawi, Abu Ayyub al-Masri, Abu Bakr al-Baghdadi, Abu Hamza al-Muhajir, Abu Musab al-Zarqawi, Abu Musab az-Zarqawi, Abu Risha, al-Hizb al-Awda, al-Qaeda, al-Qaeda in Iraq, al-Qaeda in Mesopotamia, Ansar al-Islam, Ba'ath Party, Baathism, Bashar al-Assad, Camp Bucca, faith campaign, Fedayeen Saddam, Iran, Iraq, Iraqi insurgency, ISIS, Islamic Army of Iraq, Islamic State, Islamic State of Iraq, Izzat Ibrahim ad-Douri, Jaysh al-Muhammad, Jaysh al-Mujahideen, Jaysh Rijal at-Ṭariqa an-Naqshabandiya, JRTN, Kurdistan, Kurds, Muhammad Younis al-Ahmed, Mujahideen Shura Council, Muslim Brotherhood, Naqshbandi Order, Republican Guards, Saddam Hussein, Salafi-jihadists, Salafism, sharia, Sufism, Syria, Umar al-Tilmisani on July 4, 2015 by KyleWOrton.